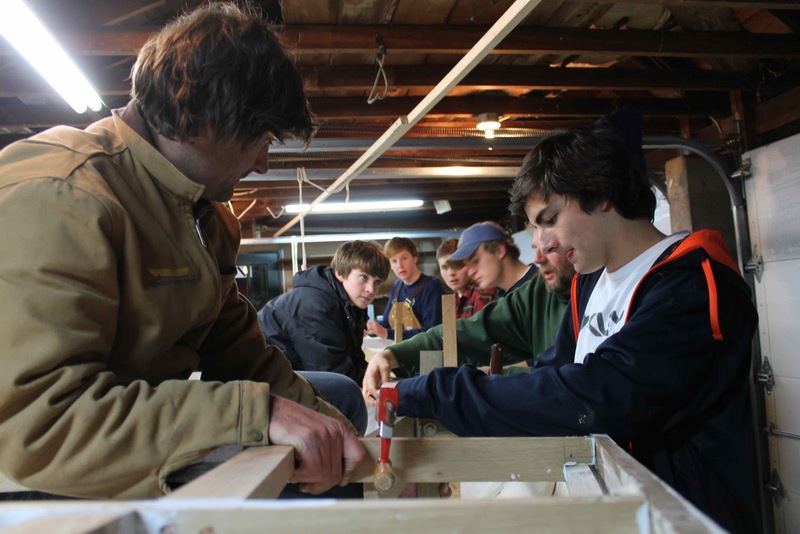 Wooden Boat Building at Brooks School: Day 11 Working more confidently everyday. On day eleven the team was working hard. 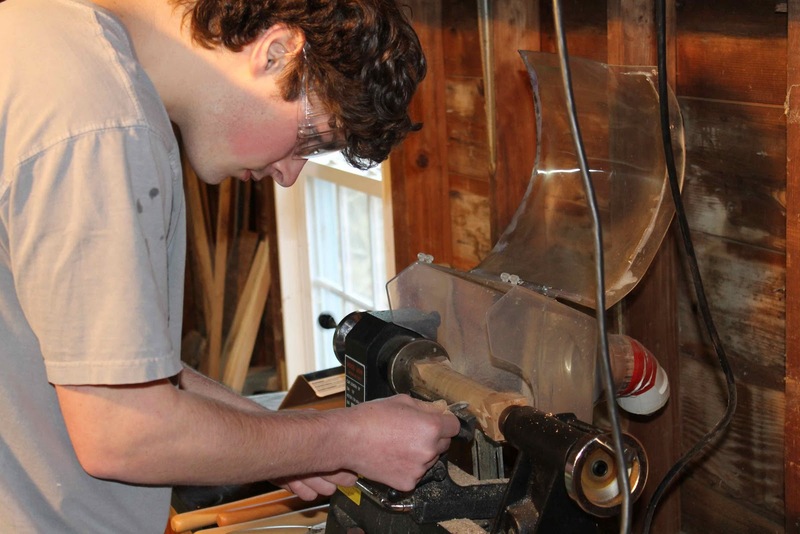 As per usual, Tommy is working hard making more support beams for the gaff using the table saw. This has caused numerous short circuts for the breakers, but we are working on that…. Bella, Allesandra and Marty continue to make the miniature models of the boat. One is a model of a dingy, and the other is a muscongus bay lobster smack, the same type of boat we are building here at the Stevens house. 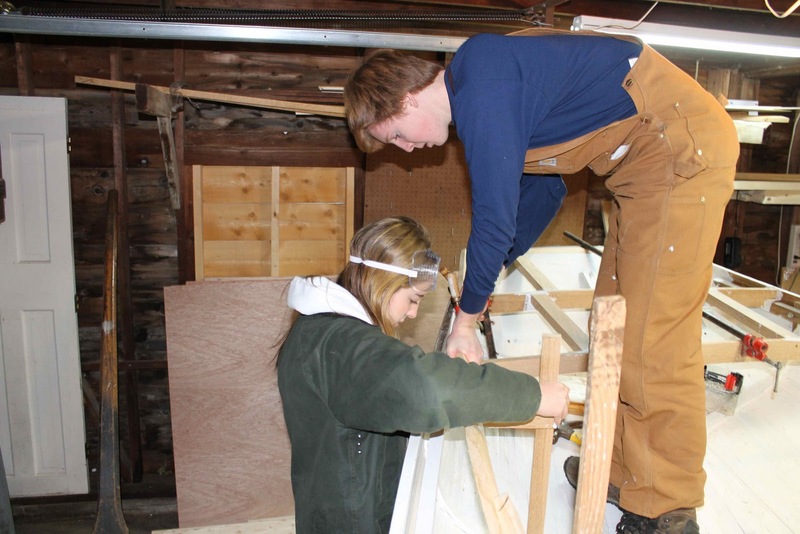 Clayton, Pauline, Andres, Emilie and Henry continue to make more side deck beams. These beams are two pieces of bolted together at a 90 degree angle, one screwed to the side gunnell and the other screwed to the rib of the hull. 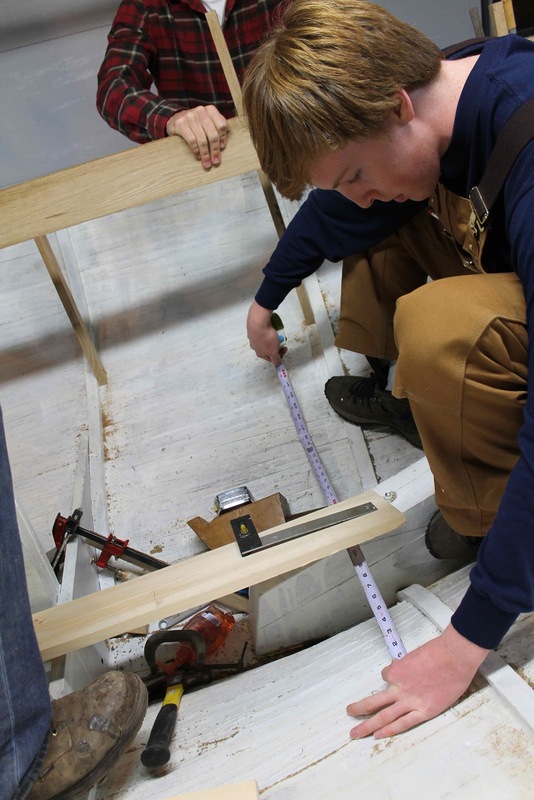 Pauline also worked on gathering measurements for the center board, which will be one of the group’s next projects. 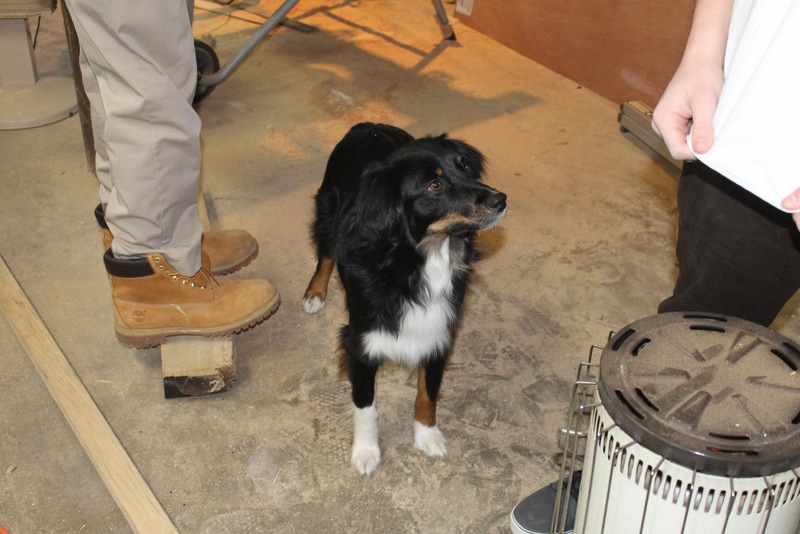 Since Graham isn’t with us during the daytime today, we have a new dog in the house: Dash!